We were officially established in 1994, the year that Ontario became the first province in Canada to recognize midwifery as a regulated health profession. Published in 2012, proceeds from the sale of this book go to the Mennonite Central Committee. 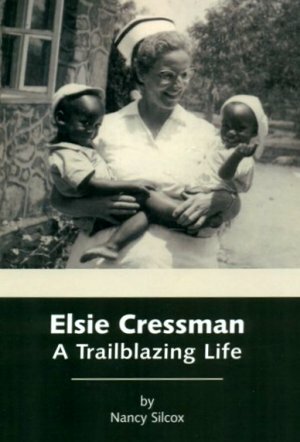 Elsie Cressman is often referred to as the pioneer of midwifery in Ontario. Born in New Hamburg, Ontario in 1923, Elsie became a Registered Nurse before setting sail for a term as a medical missionary in Africa. She had intended to stay for two years, but this turned into over 20 years. In 1970, Elsie travelled to England to complete her midwifery training at Mother’s Hospital in London. She returned to Africa and delivered thousands of babies before returning to Canada in 1976. In the early 1980s, women began seeking Elsie’s care and assistance at their home births. During this time, midwifery had no legal status in Ontario. Women had to find their own midwife, check her credentials, and pay for her services. Midwives did not yet have hospital privileges, so home birth was the only option for women seeking midwifery care prior to 1994. During this same time, Director of Nursing at Conestoga College, Patricia Legault, became acquainted with Elsie. Pat had a strong interest in promoting woman-centred maternity care and believed strongly in women having access to midwifery care. Elsie Cressman and Patricia Legault. 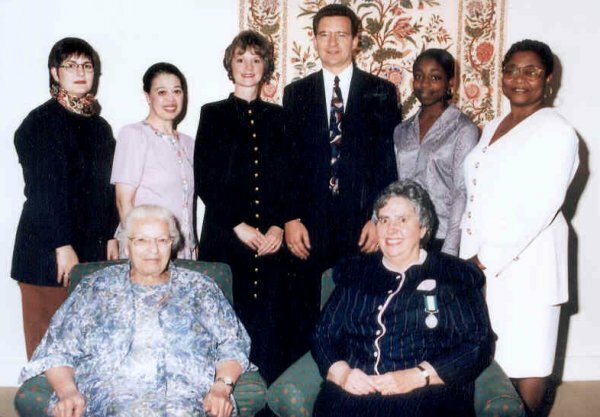 1994, with Elsie’s Order of Ontario. In 1983, Pat and Elsie convened a meeting of persons interested in establishing a community-based board to promote access to midwifery services, a free-standing birthing home, and the recognition of midwifery as a regulated health profession in Ontario. The first midwifery clinic officially opened in St. Jacobs in 1983. A few midwives offered prenatal visits at this clinic on a drop-in basis on Thursday afternoons. The board and volunteers ran annual bake sales and spring teas and raffles to help support the centre. A quarterly newsletter was published, a lending library was established, prenatal classes were offered, and demand for services increased. Elsie Cressman and Patricia Legault. 1996, with Pat’s Ontario Medal for Good Citizenship. On January 1, 1994, Ontario became the first province in Canada to pass legislation recognizing midwifery as part of the Regulated Health Professions Act. The College of Midwives was established as the governing body, setting the rules and regulations for Ontario Midwives. Legislation also brought funding so that midwifery services were covered under Ontario’s health-care system, as well as the right for midwives to obtain hospital privileges. Three universities would offer a 4-year Bachelor of Sciences degree in Midwifery. 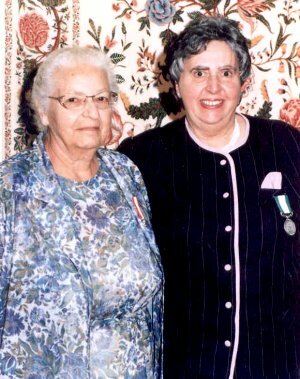 1994: Elsie Cressman was awarded the Order of Ontario. 1996: Pat Legault was awarded the Ontario Medal for Good Citizenship. The first five midwives who formed the first official practice in St. Jacobs were Elsie Cressman, Evelyn Cressman, Maggie Fioravanti, Royce Entwistle, and Louise Tanner. Andrea Horst was hired as their office administrator. Sitting: Elsie Cressman and Patricia Legault. 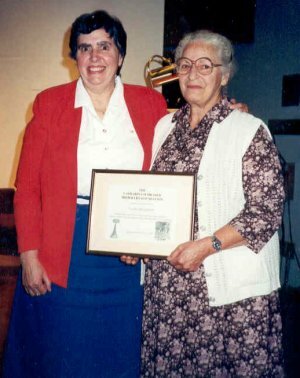 1996, at Pat’s Ontario Medal for Good Citizenship ceremony. In March, 1993, the government announced a call for proposals for free-standing birthing centres. The St. Jacobs Family Birthing Home board immediately responded. Pat Legault and board member, Denise Squire, spear-headed the proposal writing. In less than three months, the proposal was completed and submitted to the Ministry of Health. A total of twelve proposals had been submitted from all areas of the province. After almost ten months of waiting, the announcement was finally made: St. Jacobs Family Birthing Home was selected as one of three pilot free-standing birthing centres to receive funding from the province. Plans immediately got underway, including purchasing the land (location of our current site), hiring an architect to draft the plans, and hiring an executive director. It was a devastating blow one year later when the government changed and cancelled funding for free-standing birthing centres in the province. The St. Jacobs Family Birthing Home Inc.
After having worked tirelessly for over 20 years, the St. Jacobs Family Birthing Centre Board finally dissolved. Their work was not in vain; midwifery had become legislated as a Regulated Health Profession, women had access to free midwifery care with the option of delivering with a midwife at home or in hospital, and the profession with thriving. Almost 20 years later in 2012, hope was revived as the government re-opened the call for proposals for free-standing birthing centre pilots. Two centres (one in Toronto and one in Ottawa) have been announced as the first funded free-standing birthing centres in the province. 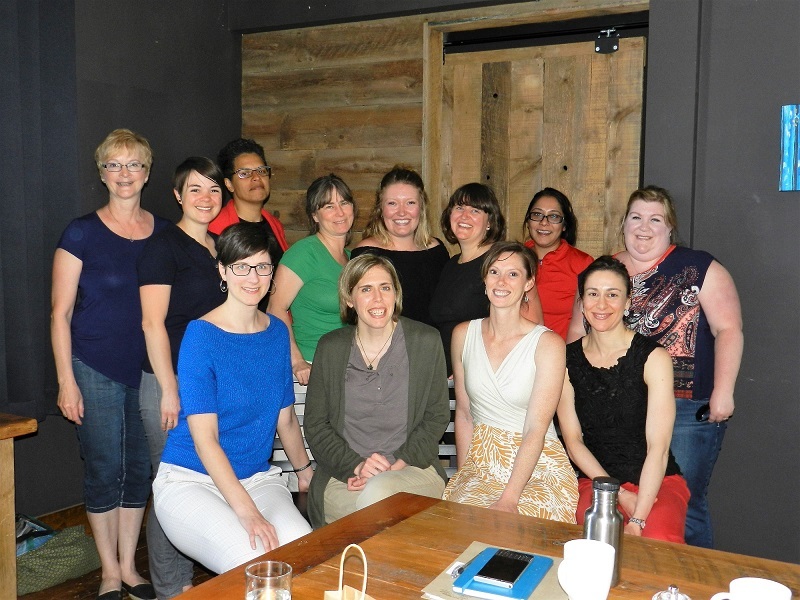 For current information, follow the Association of Ontario Midwives’ Birthing Centre Campaign.